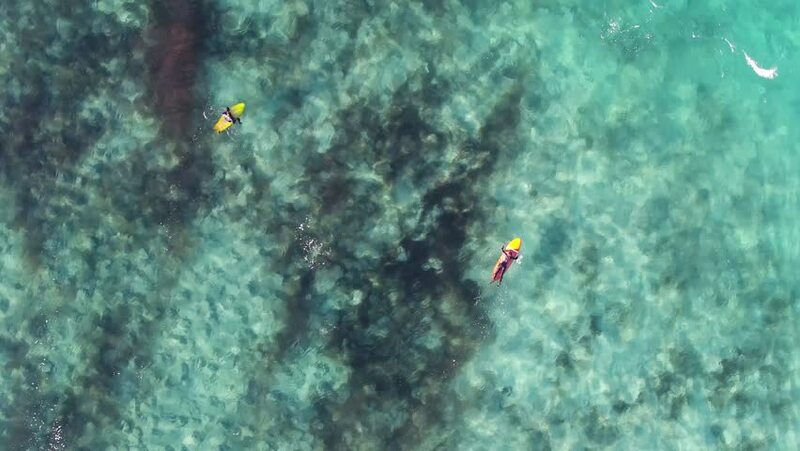 2 Surfers wait in the turquoise ocean and drone slowly climbs up higher. 4k00:19Girl in white bathing suit and guy in black swim suit swimming with Australian Sea Lions at Baird Bay, Southern Australia. 4k00:21Girl in a red swimsuit snorkeling in a transparent green blue lagoon on a bright sunny day.